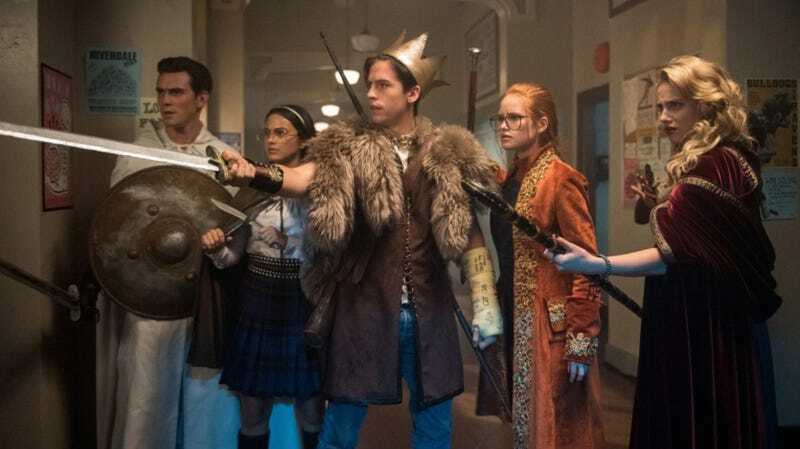 There will be battles of another version when Riverdale takes on Heathers. Heathers, of course, is a 1988 cult film starring Winona Ryder and Christian Slater that satirizes the cutthroat world of high-school popularity. A musical version has been playing smaller theater venues in Los Angeles, New York, and London over the last five years or so. But now, it’s coming to Riverdale in an episode airing March 20. The site even posted the cast list, which gives some clues about the episode. The Heathers cast list in Riverdale. The play is sponsored by the Farm, a group that’s become a mysterious presence on the show this season. And the paper itself has references from the movie on it, such as the burned corner, the slushie drunk, and that chainsaw, which we all know what to do with. Josie is Veronica, the Winona Ryder role; Sweet Pea is JD, the Christian Slater role; and the three Heathers are the three other main girls: Veronica, Betty, and Cheryl. 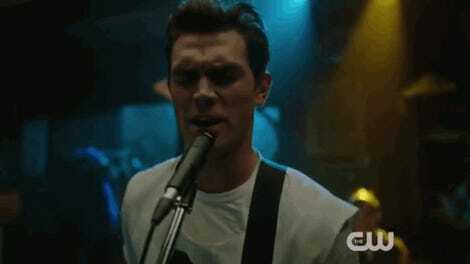 If it seems odd that none of those girls is the star—don’t forget, Josie is the singer. The Carrie episode was pretty freaking awesome, so there’s little doubt Heathers will be similar. We’ll find out on March 20.